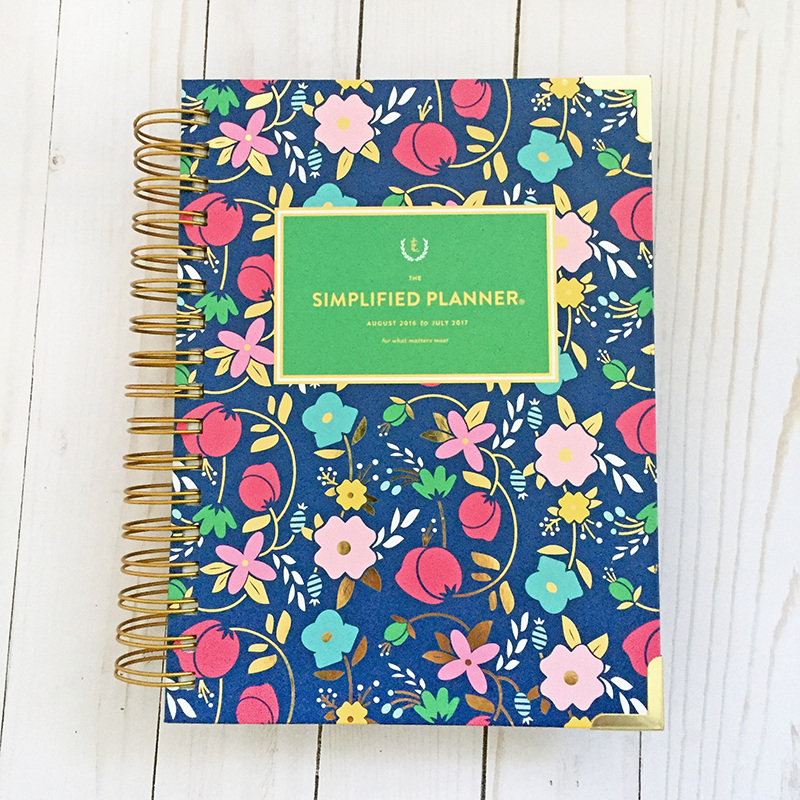 Emily Ley Simplified Daily Planner : Is it for you? It's that time of year again! 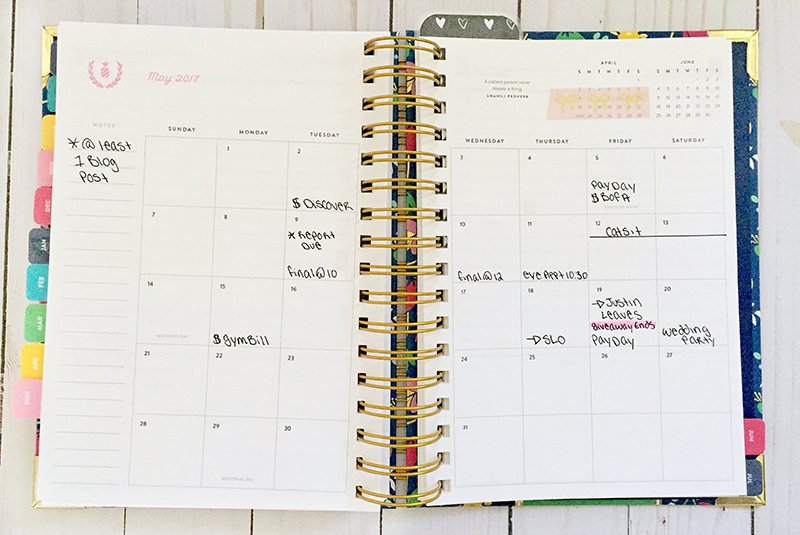 New planner releases are just around the corner and you don't want to miss it. I've had the pleasure of trying out last years Emily Ley Simplified Planner in hopes of sharing my findings with everyone. In short, this agenda is AMAZING! By now Emily Ley should have newly released her academic agenda line on her website to order, so if you are interested, definitely go pick up her new line. Since her academic planners don't start until August, you have plenty of time to decide wether the Simplified Planner is for you. With that being said, let's dive right in! 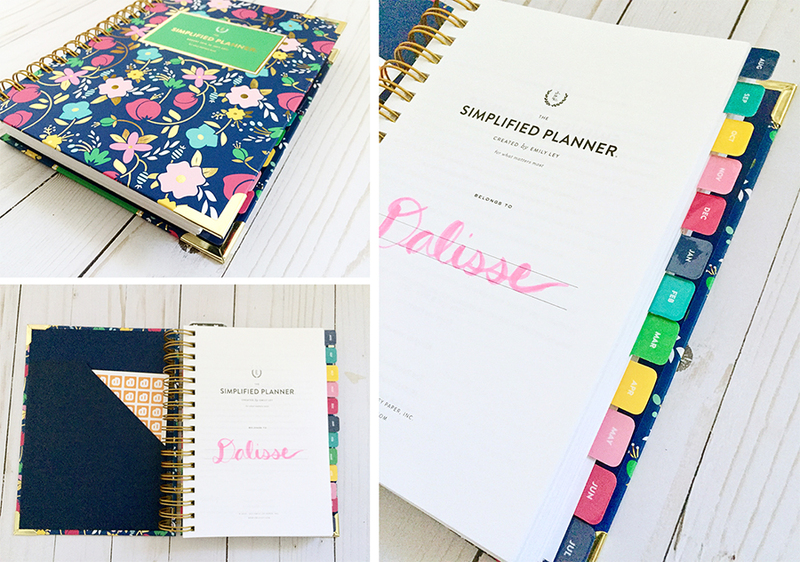 The Simplified Planner is a vibrant, hard cover, day-on-a-page planner that leaves plenty of room for your everyday tasks. It is priced at $58, which is right in the midst of it's competitors. The cover offers sturdy protection for all the pages inside, and the metal corner tabs ensure that your cover will not get damaged in a fall. The book itself is relatively thick, considering that there is a page per day printed on beautiful 70lb Mohawk paper, which is what makes this planner so special. Mohawk paper is one of the highest quality paper being offered in planners right now and the improvements are obvious. Every pen I have tried, including the famous Inkjoy gel, has done a fabulous job of not bleeding through or shadowing, which is an important aspect of your agenda because if you plan on writing in something everyday, you want to be able to use your favorite pen without worrying about bleed through. A negative about the planner would be that it's size does not make it portable enough for every day carry. It is sized at around 7.75" x 9.25", including the coil, and around 1.25-1.5" thick. While it feels substantial in your hands, I would suggest it more for a desk agenda or a backpack carry for students. Each page measures at around 6"x 8.5" which offers plenty of room for a busy schedule. Mothers, students and people whose every day schedule relies on strict time frames are who I suggest this planner might be the most effective for. Alongside a day per page, this agenda offers a month on two pages with a sturdy laminated tab for easy access. The wide size of the monthly view offers plenty of space for the multiple events you may have during your busy schedule. The left side of your monthly calendar has a small section for notes which is a great place to keep goals or keep track of your finances. The monthly view is typically known for carrying the most important dates, such as appointments or due dates which are typically transferred over onto you weekly or daily pages when the time comes around. It is a great way to get an idea of how your month looks without the clutter of your daily tasks. Now for my favorite part of my Emily Ley Simplified Planner, the daily pages! With every week day there is an hourly section to keep track of your schedule and a to do list, which is great for announcements or tasks that don't have a specific time for completion. On the bottom lies a section for dinner, which I believe is now changed to "meals" in the newest version of the Simplified Planner, and a section for notes, which can be used for random ideas or reminders. With a full time schedule, the need for an hourly schedule is crucial in keeping my life organized, and all the extra room in the To-Do and Notes sections make the perfect space for all my assignments and reminders to go in. This will definitely come in handy once I am back in school in the fall. Overall, I believe the Simplified Planner is great option for a daily agenda and the special 70lb Mohawk paper really makes the $58 dollar price tag worth it. If you plan on ordering an Emily Ley Simplified Planner, now is a great time since her new academic year agendas just released and will start this year in August.